The long-awaited and most anticipated game from Ubisoft this year is finally out, and you won’t find it cheaper anywhere else than at GameStop. The video game retailer is currently running a new promotion, offering solid discount on Tom Clancy’s The Division. If you are willing to trade-in some specified games, you can grab the open world role-playing online third-person shooter for just $35 or less. As part of a limited-time trade-in deal, GameStop is offering 42 percent off on The Division, bringing the game’s price down from normal $59.99 to $35 only. All you have to do is trade-in a select game to have GameStop pay you $25 in store credit, which can then be used to avail the discount. 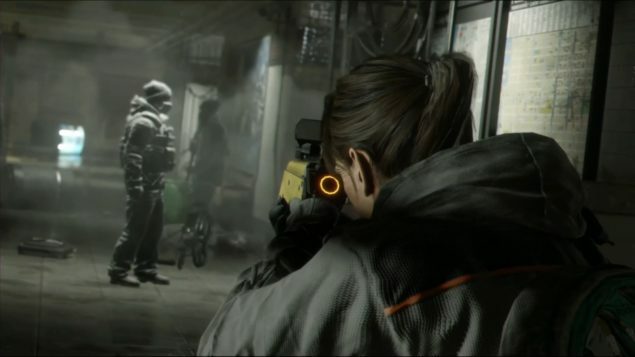 The discount is available for all versions of the game, even The Division Gold Edition, which normally comes in at a price of $99.99 and includes the game’s $39.99 season pass. The Gold Edition will cost $74.99 only after a trade-in. Customers can start taking advantage of the offer starting today until the deal closes on March 20. Players can trade-in a game present on a list that contains 59 different titles. Some of the games included in the list are Grand Theft Auto V (PlayStation 4/Xbox One), Call of Duty: Black Ops III (Xbox One), FIFA 16, Madden NFL 16 (PlayStation 4/PlayStation 3/Xbox One/Xbox 360), and Mario Kart 8 (Wii U). Of course, if you trade in more than one game present on the list, The Division’s price will come down even further. The complete list of all the eligible titles has been shared below. After being worked on for years and multiple delays, Tom Clancy’s The Division officially launched yesterday, March 8, for PC, PlayStation 4, and Xbox one. Ubisoft already confirmed via a blog post months ago that the game will have no support for mods as its massive online open world makes “modding support technically challenging.” However, players have already managed to crank up the visuals of the PC version of the game using SweetFX graphics mod.